The US Defense Department's Advanced Research Projects Agency, DAPRA currently has a program underway to deploy an ocean based, "Internet of Things" on the open oceans. DARPA's Ocean of Things consists of thousands of small, low cost, floats with sensors for real time monitoring of maritime activity. 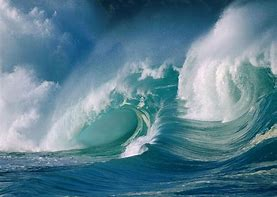 Most parts of the open ocean are essentially unmonitored and on radio silence which is amazing because oceans comprise 71% of the earth's surface. The goal is to form a distributed sensor network. The small floats will have a suite of commercially available sensors to collect environmental data such as ocean temperature, sea conditions, locations as well as commercial vessels, aircraft and marine mammals moving in the monitored areas. The floats would send the data via satellites to a cloud network for storage and real-time analysis. This DARPA program is now under development. The challenges are building the floats and data collection system along with clearing international maritime law and international cooperation. Meanwhile, at this time, the Eastman Foundation, Woods Hole Oceanographic Institute (WHOI), the Consortium for Ocean Leadership and Mate II have an international Great Blue Challenge underway. They're asking for abstracts on innovative, transformational projects to expedite ocean research. As they say, what we can't measure, we can't manage. Their focus is innovative technologies, robotics, instruments and education to gather data from below the ocean surface. Oceans are a very important frontier for innovation and technology to tackle. Oceans account for 97% of the earth's water supplies and are a fundamental driver of climate change. Satellites gather surface data but the deep blue sea in many ways remains a mystery. That's why the DARPA Ocean of Things and Great Blue Challenge are so important to expedite innovation to monitor and save our oceans.